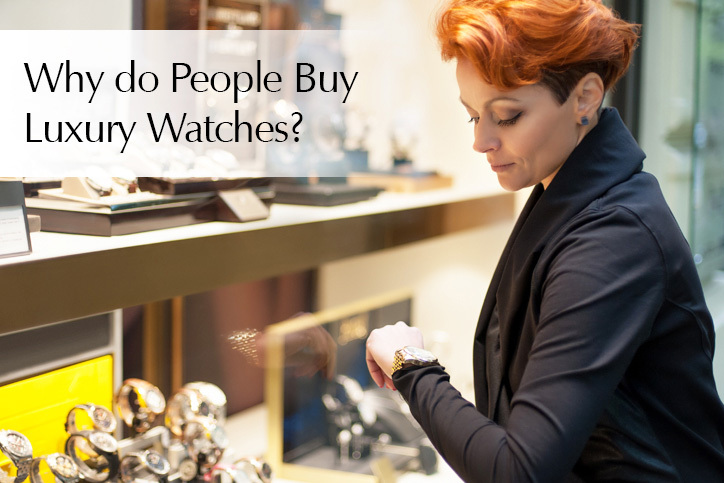 Why do People Buy Luxury Watches? While every man and woman today works hard to succeed in life, people tend to opt for things that are worthy of their efficiency. However, it is also true that in this world ‘looks’ matter and wearing luxury watches is like a passion these days. Besides, in some of our cultures, people need to indeed manifest their status on their body in some form or another as much as possible. And, a luxury watch is one of the best ways to communicate it to the people you are dealing with. While social etiquette usually includes looking the best, people tend to judge how attractive, successful and classy you are based on some perceptible indicators. These visible indicators are so powerful that people may conclude about you even before you open your mouth. To put in simply, if you want others to take you seriously, you have to look ‘serious’. To make you look serious, simply wear a nice watch. The luxury watch on your wrist will automatically communicate that you should be taken earnestly. People with whom you are dealing would not think that you are nobody. Whether it is a second hand Rolex watch or a brand-new one, your timepiece will help you in getting noticed and also, illustrate your worth. A luxury watch is one of the most convenient ways to become instantly more attractive. While affording a brand-new luxury timepiece may not be easy for all, you can opt for a more affordable option – buying second hand watches. The fact is that people typically notice things that are not common. While it might be a huge person or an extremely handsome person, it can also be a Rolex watch or a luxury watch of any other elite brands that make you stand out. People are compelled to pay attention when you walk into the room. Not many things can attract attention as much as a luxury watch (like this) can do. Also Read: Why should you buy second hand engagement rings? The watch you wear may convey a lot about who you are. People, who consider them to be unique, buy a unique watch that suits their personality. Prestigious brands like Rolex have introduced many watches over the years, designed primarily to meet the needs of people coming from different walks of life. The luxury watch world has timepieces of various designs and styles. Thus, you can look for all the options and decide on the one that fits your taste and personality the most. It is known that people judge a man in society and businesses based on his watch. However, one reason for this is probably that today men possess only a few good ways to express themselves. Thus, timepieces are considered as an easy measure to determine an individual’s taste as well as economic status. In many societies, people believe that a successful man of good personality not only wears a high-end watch but also utilises some efforts to get a unique watch that especially convey who he is and what he values. For many people, watch collection is a legacy and a luxury watch is a meaningful heirloom that can last for generations. While Christmas is the most awaited time for billions of people, it can certainly get costly. From buying gifts, foods, to arranging parties and travelling, people tend to spend a lot on Christmas preparations and gifts every year. And, it is no wonder that you may get a bit frazzled when checking your bank balance in the mid-December. If you are well-organised and plan everything, you can spend this holiday season stress-free, without worrying about affordability. It is already November and Christmas seems to have already come around. Once we move into December, the big day can creep up without warning. Thus, plan your budget today, making a list of things that you are looking to buy for Christmas. While many people consider it as a firm way to cut their expenses, the fact is that planning a budget is more about making vigilant purchases and it certainly needs control along with discipline. 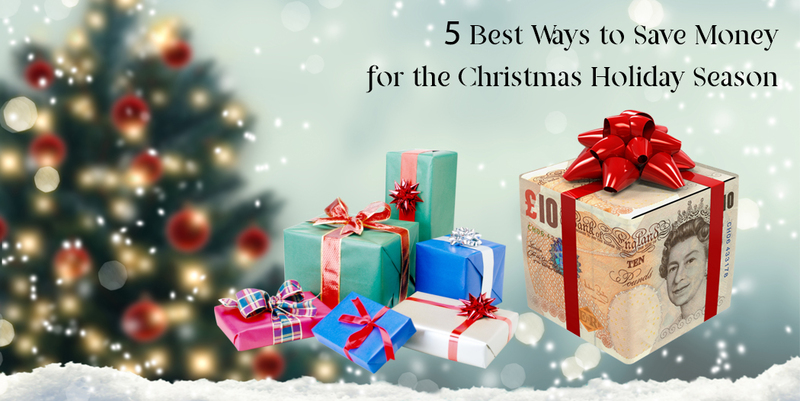 In a time when the shops and supermarkets are filling with Christmas decorations, lights, enticing sales and services, you can make fast decisions that may lead to hasty buying and consequently, overspending. Thus, if you are aware of it and make a budget, it can help you to prepare yourself wisely. If you want to stick with your budget efficiently, it is essential for you to track your expenses. The best way to do it is writing everything, right from your monthly rental costs to the cup of coffee that you may have purchased. While this may appear as an overwhelming work, you may be able to save a decent amount of money only in one month, thereby helping you to reach your financial goals for this holiday season. One of the best ways to save money for Christmas is shopping online. Long gone are the days when people had to wander around the shops for hours to get a perfect deal. Today, you can browse the internet and buy gifts online within your budget from the comfort of your home, avoiding the crowds and long queues at malls. Besides, shopping online is cheaper than shopping at the conventional brick and mortar retail shops as you can carve the parking expenses and also, often avoid the sales taxes. Websites like The Luxury Hut offer amazing deals especially during the holidays on a variety of pre-owned assets. You will find an extensive collection of second hand luxury watches and jewellery like diamond rings, necklaces or pendants on sale. Whether a treat for yourself or a gift for a loved one, we ensure you will get your perfect luxury gift for an excellent price at the online store of The Luxury Hut. Your experience of shopping online with The Luxury Hut can be memorable and more significantly, less expensive. If you are worried about your finances or want to raise extra cash for meeting your Christmas expenses, it may be the perfect time for you to consider selling your assets to any trustworthy pawnbrokers in London, like at The Luxury Hut. The Luxury Hut offers a secure and convenient way to sell your pre-owned luxury watch and jewellery for cash. Whether you decide to ‘sell engagement ring’, ‘sell diamond’ or sell a Rolex watch online or via appointment, you will receive an accurate valuation and eventually, a competitive price when selling your valuables for cash at The Luxury Hut. We evaluate the value of any luxury asset accurately based on the current second hand market price. You can sell your asset online in London or from anywhere in the UK to us right from the comfort of your home. The entire process, from getting a quote, sending your asset to getting paid may take as little as two days to complete. On the contrary, you can visit our premises in Hatton Garden, London (by appointment) with your valuables and get paid in cash right away. All you have to do is call us on 0207 242 5411 to make an appointment. Nevertheless, we will make sure that the process is smooth, secure and comfortable for you. To get started, fill up our online form and receive your quote in less than no time. Here at The Luxury Hut, we can help you to replenish your Christmas budget by buying your luxury asset for the highest possible price. Thus, you can concentrate on the things that honestly matter this festive season and enjoy your holiday utmost being financially prepared. Rolex Datejust, Oysterdate and Date: What is the Difference?